Pop Culture Safari! 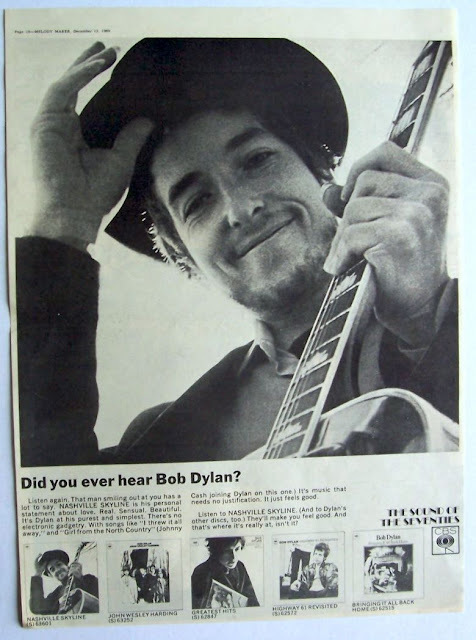 : Time Capsule: Vintage ad for Bob Dylan's "Nashville Skyline" LP - with bonus video! Time Capsule: Vintage ad for Bob Dylan's "Nashville Skyline" LP - with bonus video! The Bard's countrified "Nashville Skyline" LP was released on this date 50 years ago. Oh me, oh my, I love that country pie. Here's Bob singing "I Threw it All Away," from the album, on "The Johnny Cash Show."